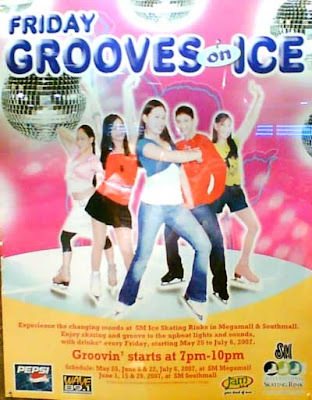 I went skating at Megamall a few days ago, and WOW, there is no room for any enjoyment in skating. They're currently shooting a reality competition program at QTV, Fridays at 8:30pm, and true enough I wasn't able to watch it. 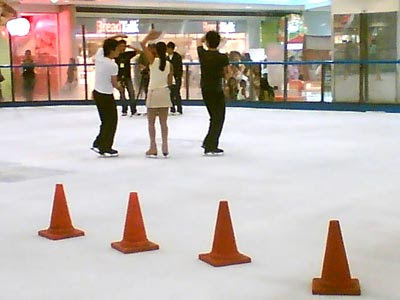 So what that means is, many pairs practicing, many areas coned off, less space for the casual skater and just disappointing all around. Although, what was cool was that I saw a pair perform a Death Spiral. Obtrusive to us, yes, but still impressive. It was just some crap about who will be able to avail of the drinks. So, yay! Drunken skating! Spinning must be double the fun. 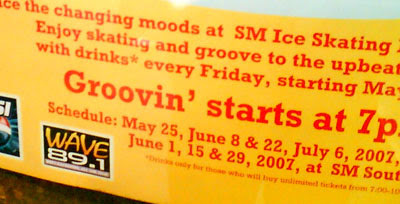 I'm going to star in the skating competition, okay? My partner will be a girl and another BOY! Isn't that exciting? And our props?